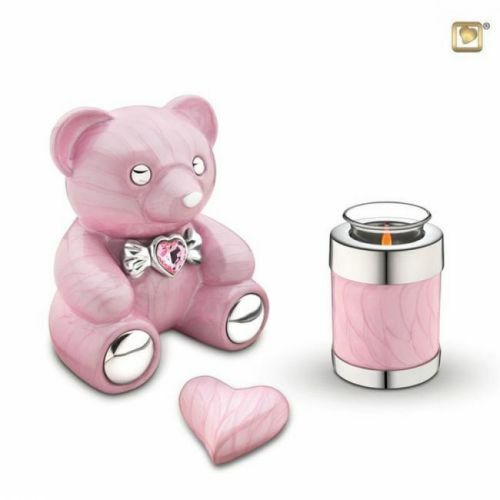 Our beautiful child teddy bear urns make it possible to commemorate a life unlived, or that has been cut tragically short. Instantly recognisable as a symbol of innocence. Height of the bear is 20cm and hold 1.8 Litres. Both keepsakes only hold a token amount of ashes.